Discussion groups for film and video professionals. 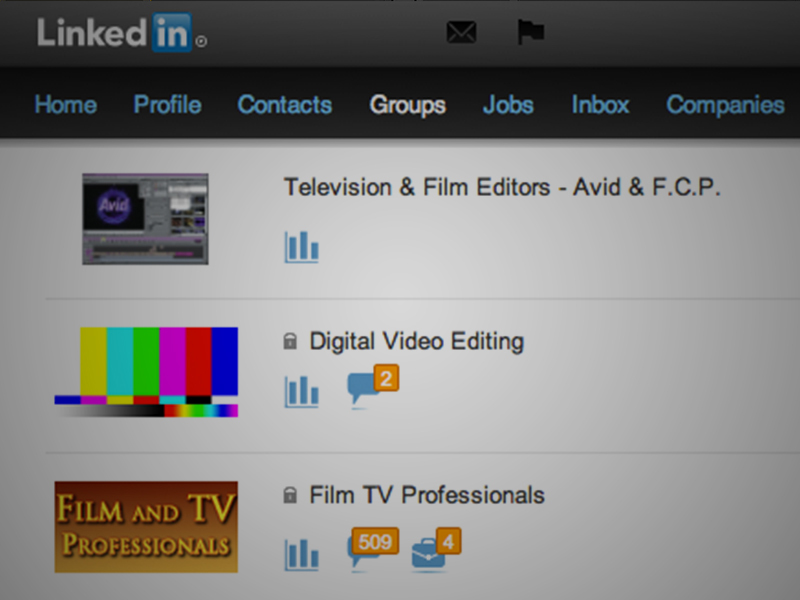 There are a number of groups on LinkedIn that are meant as a place to share your ideas and questions about digital film and video. I have been part of a number of groups over the years and have found them to be a very valuable resource. This week we will discuss some of my favorites. These are in no particular order other than alphabetical. Adobe After Effects Group - The LinkedIn Group for users of Adobe After Effects motion graphics animation software. Adobe Premiere - The LinkedIn Group for users of Adobe Premiere Pro video editing software. 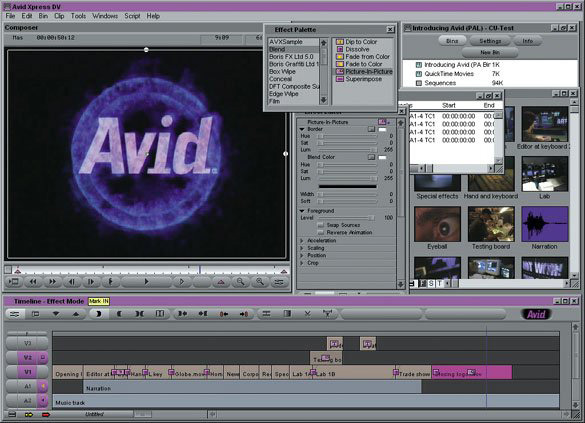 AVID EDITORS - An international group of Avid Editors discussing experiences and raising questions about the Avid film and video editing tools. There are two of these groups, another is listed as Avid Editors. Boston Avid Users Group - The Boston Avid User Group is a community of Avid professionals, students and enthusiasts from the New England area who meet monthly to share positive experiences and to learn new skills relating to Avid film and video tools and related technology. If you're not from New England try to find a group representing you local area user group. Boston Creative Pro User Group - The Boston Creative Pro User Group was founded with an active group of industry professionals in TV, Film and Digital Media and is a place to discuss the art, the tools and technology both online and in person. A broader professional group in Boston is Boston Creative Professionals. Digital Video Editing - A community for people who want to share information, ideas, thoughts and experiences on digital video editing. Film TV Professionals - The group has been formed to develop a network of film and television production and post production executives and professionals in the entertainment industry. There is another very similar group called Film and Television Professionals. Final Cut Pro Video Editing - Exchanging knowledge, experiences, ideas for users of Apple Final Cut Pro and FCP Studio. ProVideo Coalition - A place for professionals needing to interconnect in the video, film, graphics trades. Avid logo resolve from Avid Overview. Television & Film Editors - Avid & F.C.P. - A LinkedIn group for posting questions about editing, techniques or production in general. This is also a place to share your experiences, good, bad, funny or awful. The bonus with this group is the group image uses a frame from a video I edited (image on right). This is just a sampling of some of the resources online. Taking advantage of the resources available is a great way to learn more about the film and video industry. Above is the video that the Avid logo in the Television & Film Editors screen shot came from (approximately 6:20).